Parasites and intestinal worms are not as uncommon as you might think. And they can show subtle or drastic symptoms to signal the body of their presence: fatigue, exhaustion, skin irritations, digestive issues like constipation, diarrhea, or never feeling full are just a few of the signs. 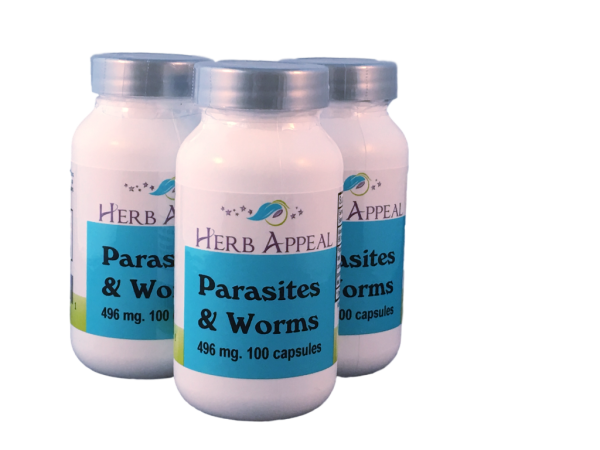 Our Parasites and Worms formula has Tansy, known to kill parasites, Wormwood, known to expel intestinal worms, and Black Walnut, known to help get rid of intestinal worms, Candida, fungal skin conditions and the list goes on. To get the most benefit from this formula, and to do a full detox, buy three bottles.